The Track and Field season kicked off at various venues but principally at a breezy Blackpool for the Liverpool Pembroke Sefton club. This was the first of the Mid-Lancs League matches for and there was a decent showing of members pursuing both points and personal bests. Among the numerous performances a number demanded attention. 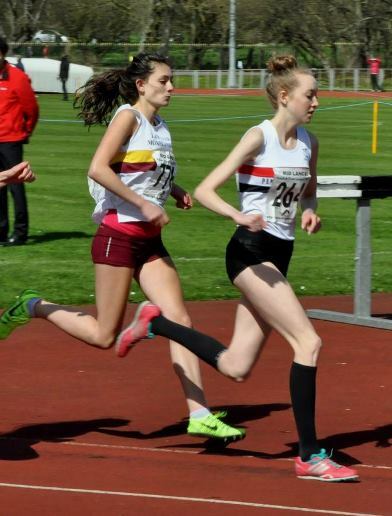 Ranked in the 2014 UK at No 1 for 1500m Rosie Johnson started her current campaign with a runaway win in the Senior 800m with an excellent time of 2.13.5. 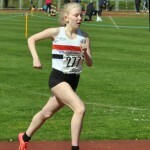 Lauren Lewis also sparkled in the Under 15 100m with 13.2. Erin Birchall and Jade Murphy both took maximum points as well in the U15 Long Jump(4.50m) and High Jump(1.55m) respectively. Scarlet Whitfield joined the big point gathering with a 1.25m High Jump. 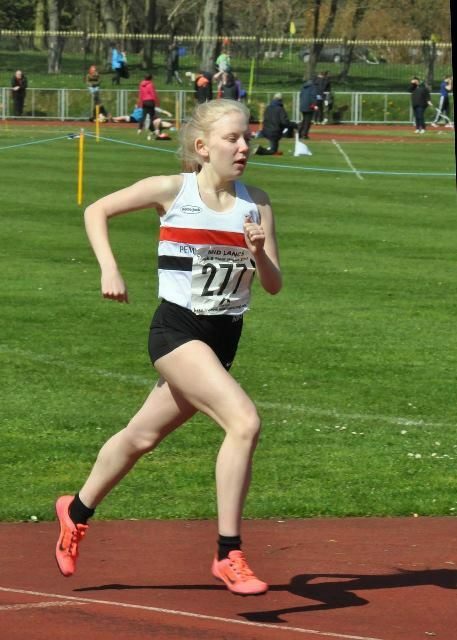 As usual U17 Evelyn Smalley was a prolific point gatherer with 100m(13.6), 200m(28.4) and Long Jump(4.32m). On the male side senior sprinter Luke Edwards ran a creditable 100m in 11.4 and Nathan Hilton stormed away at 400m in 50.3. 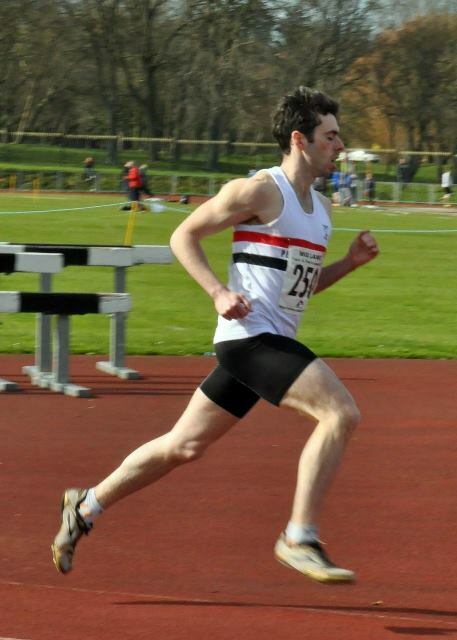 Jonathan Bride will be satisfied with his early season 800m(2.05). 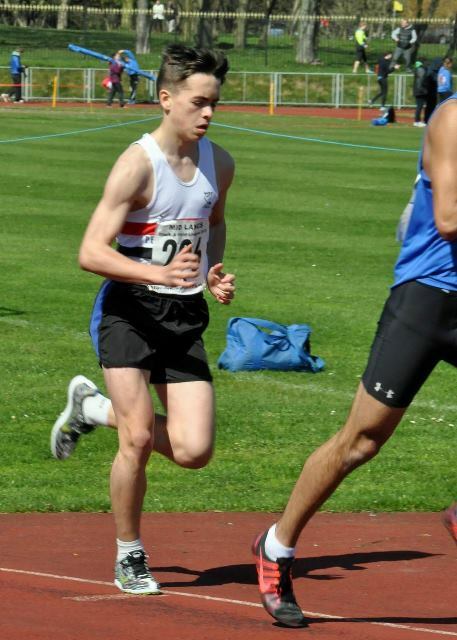 Attempting his first competitive 1500m Harry Doran was well clear with a time of 4.13.7. 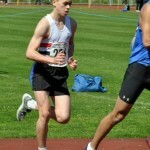 At U17 Ed Latimer, another emerging talent, took maximum points in the 100m(11.4) and 400m(52.0). Matt Low usefully triple jumped 10.40m and long jumped 5.19m. 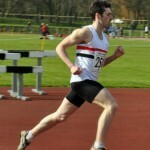 Adam Jones was third in his 1500m race with 4.52.4. Two other events stood out a bit, Ben Harding(U17) throwing the Javelin 41.72m and U15 Kai Finch breaking new ground with a 1.66m High Jump. After the first match the Men are lying second in the league and the Women fifth. 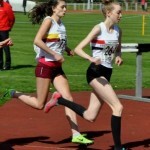 At a parallel Open Meeting at Wavertree U17 Hannah Wills recorded 1.45m in the High Jump and newcomer, Jenny Pyatt threw the Discus a high ranking 38.55m plus a Shot Putt of 9.67m and Javelin throw of 33.93m. Veteran Dave Brown was prominent with a Shot Putt of 10.35m and Discus of 30.13m. Sprinters Andrew Williams(23.3), Danny Higham(23.3) and Jesse Roberts(24.2) tested themselves soundly at 200m.